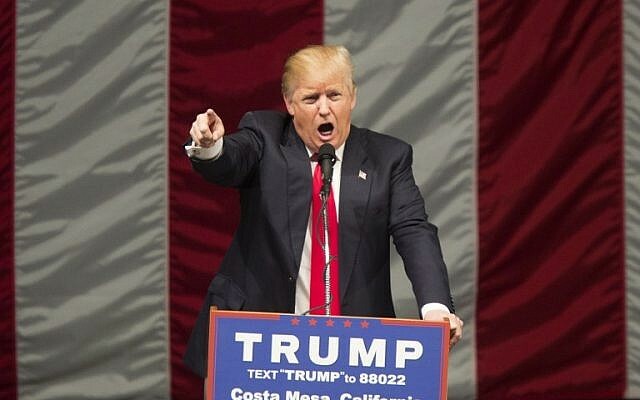 Protests at a California rally for Republican presidential front-runner Donald Trump reportedly turned violent Thursday, with 20 people arrested after a police car window was smashed and rocks were thrown. 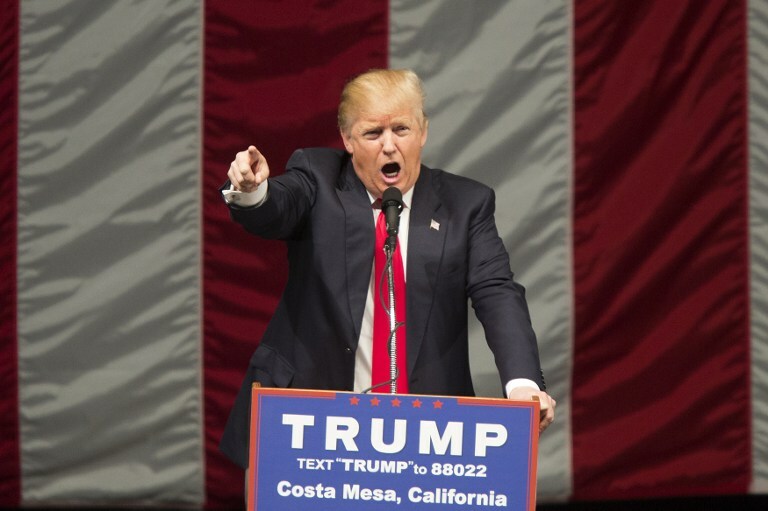 Hundreds of demonstrators clashed with police outside the Orange County amphitheater in Costa Mesa during a Trump campaign stopover, which drew a crowd of thousands ahead of the state’s June 7 primary, the Los Angeles Times said. The demonstrators hurled rocks at passing vehicles and vandalized cars, smashing at least one patrol car’s window and puncturing the tires on a police sports utility vehicle, while trying to overturn another police car, the Times said. By around 11:00 pm (06:00 GMT Friday), Orange County police said the protests were “over” in a posting on Twitter. “Approx 20 arrests by Costa Mesa PD. No major injuries. Crowd dispersed by 11 pm,” it said. Local news affiliate ABC7 showed one car dangerously circling pedestrians in the street but amazingly hitting no one. The Times reported said the crowd, some of whom were carrying American and Mexican flags, blocked traffic, with one group using benches to block the entrance to the 55 Freeway. After the rally, Trump thanked the people of Orange County for hosting the event. “Thank you Costa Mesa, California! 31,000 people tonight with thousands turned away. I will be back!” Trump wrote. California, the largest state in the union, which votes on the last day of Republican primaries, is absolutely crucial in Trump’s push to secure the delegates he needs to prevail in his party’s chaotic contested convention.